Generally I try to stay out of heated discussions on the internet. Rarely do I find stepping in to be beneficial -- to myself or to anyone else. But recently I noticed author Rainbow Rowell coming under fire for her book ELEANOR & PARK. Specifically, people have accused the story, and in some ways Rainbow herself, of being racist. This is not something I can stay silent about. First of all, racism is a serious charge, and one that I believe is thrown around a bit too quickly nowadays. Not every race-related remark is racist. And as one friend put it, using that word is like brandishing a giant machete; no one is going to oppose you, not because they agree or understand or have learned, but because they are simply afraid. Fear and coercion are not productive ways of advancing the issue of diversity. Also, there is a difference between being racist and having preconceptions. An important difference. Ignorance isn't a good thing, but it is distinct from ill will. Personally, I loved ELEANOR & PARK. The quirky duo captivated me, and their love story gave me tingles. I admired Rainbow's sparse but fluid prose, and the way she evoked setting and emotion through specific, delicious details. I ached for both Eleanor and Park, who are filled with so much doubt and insecurity about themselves. And I think that's where this discussion [about E&P being racist] frustrates me. Because there are plenty of un-complimentary and stereotypical comments directed at Eleanor's character in regards to her weight and even her poverty, yet I haven't seen any outcry about that. Just the opposite: I see much praise (well-deserved, in my opinion) for the way that Rainbow humanized Eleanor's character and celebrated her as a heroine, a love interest. So why is the same treatment of Park's character considered racist? Both characters are meant to show that the surface is just one layer. That the way a person looks or dresses does not make up the entirety of who they are. Throughout the story, Park struggles with his identity as a halfie. He hasn't figured out yet how to be a mix of two things in a society that likes tidy labels. He doesn't see (m)any role models or heroes that resemble him, physically or culturally. He loves his [Korean] mother fiercely but also has concerns about how she interacts with the world and vice versa. He is a bridge between two worlds, neither of which he fully fits into. All of that is just like me as a child, as a teen, and even now sometimes as an adult. I don't think Rainbow's portrayal of Park is racist. Even with the Bruce Lee references and whatever else. To me, it just felt real. As for Park's mom... Yes, she does hair and nails. Yes, she speaks in broken English. Yes, she is petite and "exotic" looking. Yes, she married an American man who she met during the Korean War. Again, to me, this is real. 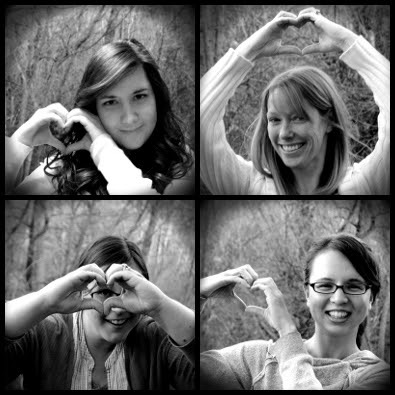 I know those women. Some of them are in my family. Some of them are my friend's mothers. Some of them have cut my hair, or taught me in school, or treated me in hospitals. Fitting into certain stereotypes is not the same as BEING a stereotype. I don't think Park's mother is a stereotype. I don't think she is a token minority. I think she is an integral part of Park's family, Park's story, and Park's journey. And at least in my reading of E&P, Park's mother is never portrayed as being inferior to her husband, her mother-in-law, her children, her neighbors, or anyone else. She is strong-willed and strongly opinionated, as well as kind-hearted, skilled, and successful. To be clear, that doesn't mean I think everything was perfect. (Just one example: it drives me bonkers that Park has green eyes.) But things can be problematic without being racist. And we can dislike a book, or disagree with what's in it, or decide not to give it to our own kids to read, without vilifying it. You know, I wish Park's mother wasn't such a rarity. I wish that she was one of countless Asian mothers in YA literature. Then she -- like Eleanor's mother -- would be free to just be herself, instead of a fictional representative for all Korean women. I've seen the debate about this book and it's great to see your thoughts. I haven't read Eleanor & Park yet though, so a lot of the comments kind of fly by my head. I still think I want to read it because I kind of relate to growing up with two cultures clashing. Anyway, thanks for sharing your thoughts! What a great post! I found it highly thought provoking. 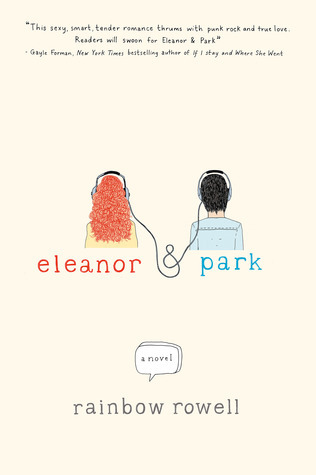 I haven't read Eleanor & Park yet, but after reading your comments on it, I think I will. It sounds fascinating. Thank you for sharing! You crafted a good argument here. I've had mixed feelings about the debate over Park, but I am glad to hear the other side's feelings on the matter. Nicely written! Thank you guys soooooo much for your comments and support! I was definitely nervous about posting this, but felt it was important to speak up. Whether you end up agreeing with me or not, I appreciate that you're willing to listen to my perspective and respect it. :) Hopefully we can keep having positive, productive conversations -- until the day there's nothing left to talk about! I haven't read the book, but I think your post conflates a lot of difficult concepts--diversity, stereotyping, tokenism, etc. I also think it's important for people to define what they mean by "racist." Is it a racial superiority thing? Is it simply racial stereotyping? Is it unfounded assumptions based on race? What about reinforcing racial stereotypes that you know to be stereotypes? People use the word in different meanings, so I think it's important to know what they're referring to before"not racist," because I think a lot of people would define "preconceptions" based on RACE to be racist. I agree that every comment based on race is not racist, but I think it's a fine line to walk especially if you attribute attributes to a person solely due to their race. I do think charging someone as "racist" doesn't create an open forum for debate. At the same time, how do you approach those conversations when you believe that to be the case? I think race is a tough and complex concept. I like and respect your post because people should have conversations like this. Keep it up! If someone's preconceptions are based on race then those preconceptions are RACIST. Also intent doesn't matter when it comes to racism. Someone might not mean to BE racist but can still DO racist things. Just because a book is set in a "more racist" time, doesn't mean the book itself has to be racist. There can be racism within the book, but the narrative could make it clear that that racism is not okay. Rowell fails to do the latter. 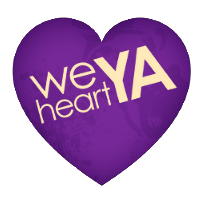 I completely agree that I've touched on a lot of topics here, because they are all part of the larger discussion of race representation in YA lit. This post probably could have been 10 times longer, to explore things with greater nuance, but that simply wasn't practical for me. To your point, the definition of "racist" plays a huge part in all of this -- and that's why it's hard to come to a consensus. As you said, most discussions involving race require people to walk fine lines -- but we're all drawing that line in different places. That is your personal opinion, and I respect it. I also appreciate your taking the time to comment. This post is meant to express my opinion, which I hope you will respect too. It seems we disagree, chiefly on the point of whether things can be "race-based" without being "racist." We may also be in disagreement on whether or not it is an artist's responsibility to moralize within their work. I think part of why I enjoyed this book so much is because I totally related to both of the characters. I was overweight in high school. Not obese, but enough to feel uncomfortable in my own skin. I was a first generation American with foreign parents who spoke differently, ate differently and had different notions of family. I love that Rainbow Rowell touched on all these things in Eleanor and Park without making them issues. They were just part of who these characters are. That, to me, is the complete opposite of racist. And that, for me, makes this book extraordinary. Thanks so much for sharing your thoughts! It's nice to see another perspective on this. I can't really speak to whether the book is racist or not, but I DO feel like I can say that I highly doubt Rainbow intended it to be so. I fully support people pointing out when things could be better, but on the other hand... the way people respond to things like this, with such backlash, makes me afraid that authors will stick with "what they know" rather than branching out and including other races, other sexual orientations, etc... out of fear of people lashing out at them. You know what I mean? It's a hot issue, as it should be, but I wish people were more constructive with their criticism. I think people are starting to talk about two different things. Anonymous is right, preconceptions based on racist are inherently racist. Regardless of intent. I cannot think of an example where this is not the case. People are people. Making assumptions about people based on race is racist. Culture is different from race. With that said, I think portraying racial stereotypes in fiction is not inherently racist. For example, The Wire is a celebrated TV Show where blacks are portrayed as slang-speaking drug dealers in Baltimore. Some of the characters are based off of real people, but at the end of the day it is still a fictitious story. If we were to get rid of all stereotypes in media we wouldn't have many of the movies and stories that we have today. Taking it a step further, saying that all people that portray or extend a stereotype wouldn't allow for people like Jackie Chan to act and create moves. His martial arts and broken English fits into stereotypes, but I don't think people have a problem with Jackie Chan's movies (at least not for that reason). Also, there is no distinction between movies/television and books. These forms of media are initially written and that includes writing dialogue with broken English and slang. These forms of media take it a step further by hiring actual people that fit a stereotype to portray these fictional characters. I guess that's a long way of saying, using racial stereotypes in fiction isn't inherently racist. But we must be careful that we distinguish between such uses in fiction and judgments--especially preconceptions--based on race. Because the later is inherently racist notwithstanding intent. Great discussion, Kristan! Just wading in to say that the people coming forward to comment that they recognize themselves in this book strums on my heartstrings. I do too! I am SO in Eleanor and Park's world. I'm not a red-head. I'm not poor. I'm not Korean. I wasn't a teenager in the 80s. I never had to take a bath behind a curtain. I don't have a step-dad. I have never even heard a Smith's song. And I don't want to. No one ever moved over to give me room on the seat on the schoolbus. I wasn't into comics. And if a guy I knew used eyeliner, he would probably get beat up for it. I really seem to have nothing in common with the way things are depicted in this book. I have felt invisible. I have been in the way. I have been the new girl. I have had someone love the way I look, even though I'm unconventional. I have been obsessed. I am a fan. I can talk all day about music. I often argued with my parents. I have been suppressed. I have been threatened. I have had a friend's mom make me dinner. I have seen how other families are different to mine and wished for change. I have gone on a rampage when someone invaded my stuff. My stuff being useless treasures only I would put value on. Thing is, this story is so much more than individual characteristics. Perhaps this is why it elicits such discussion...you might think to yourself "that's so me!" or "she's got it all wrong!" when actually, it's so something else. It's so a carefully crafted fictional world that reflects the real one. IMO, the biggest part of a writer's job is reflection on the human experience. And this book does that. Does Rowell create an accurate portrayal of a half-asian family with a mother who speaks in broken English? I don't know about anyone else, but I think so. Is it racist? Man, I hope not. Rowell makes Park's family normal. And refelects the very diverse society we live in. Racism, to me, is intent to discriminate. And Rowell hasn't done that. She hasn't poked fun at or degraded anyone...she just said, "this is." And, yeah, the responsibility for us to change our preconceptions and educate ourselves and research and listen is all down to what we do with "what is." I enjoyed reading your review, and I liked that you used a more tentative and not aggressive style in review. I agree that POC have the right to be angry about issues most definitely, but also felt it would be good to acknowledge how your writing and opinion is put across well. To get to the content, I thought that some of the aspects in the book could be seen as stereotypical. I also thought it should be okay for them to be, that characters and people should not feel a pressure to not live or act a certain way or have a certain job to exist outside of a stereotype to be seen as a real person and not just a caricature. Eleanor & Park is my choice of novel for my freshmen to read at the end of the year. I love this book because there are so few representations of Asian protagonists. During the fall semester my freshmen read The Absolutely True Diary of a Part-Time Indian and To Kill a Mockingbird, and Romeo & Juliet followed by Eleanor & Park in the spring semester. I have encountered numerous students who don't want to be defined by their race and who identify with Park's struggle to figure out who they are and where they belong in the world. Thank you for writing such a thought-provoking review because it brings up preconceived notions about people and race, which teenagers happen to be have in abundance! We have a limited number of Asian students where I teach, so I think this novel presents a jumping off point for showing students that the stereotypes about Asians that they might even believe are just untrue. I particular enjoyed the explanation in the novel that the term Oriental is reserved for food and products, not people. (Prior to reading the novel, I heard a few students refer to people as Oriental and I told them that the person was not a rug or a flavor of Ramen noodles, so they needed to say Asian.) Thank you for supporting this novel because I have hundreds of students who love it and your positive review makes me think that incorporating it into my curriculum was the right decision.